Do you know how to fly safely with water? (I am not talking about the flooded airfields many of us have experienced of late!) 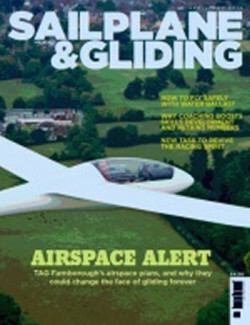 Find out how in the April-May issue of S&G, which highlights the TAG Farnborough airspace plans that could change the face of gliding forever. There is also news of a new type of racing task, designed torevive the racing spirit, and top coaches explain how club coaching can help pilots acquire soaring and cross-country skills more quickly (and retain members). Two leading coaches explain how pilots looking to acquire soaring and cross-country skills will find they pick them up more quickly if they take advantage of club coaching. It helps to overcome the mental barriers faced by the budding cross-country pilot and an added bonus is that, in offering coaching to help pilots make the transition from solo to cross-country, clubs can benefit in seeking to attract and retain members. Numbers of those taking part in UK competitions are dwindling. Tim Scott and Jim White describe a new type of racing task, which will, hopefully, attract fresh blood into the sport at entry level to feed into the higher levels of competition in the future. It is a task type that is not limited to competitions. 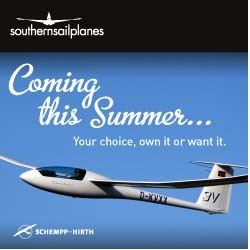 At Booker, it has been used for club flying and has resulted in more pilots being willing to go cross-country, as the task is tailored to the performance of their glider. 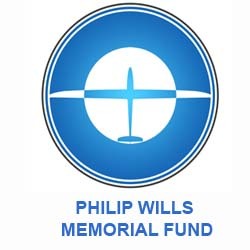 TAG Farnborough is asking the CAA for vast new areas of controlled airspace that could change the face of general aviation in the south of England and, with it, gliding. Patrick Naegeli and Peter Harvey look at the impact on safety and operational viability, advising that this is one occasion where it might be unwise of us to rely solely on a single BGA response of politely logical argument. Also in this issue: Ben Watkins looks at hot airspace topics. Tim Scorer offers top legal tips on staying clear ofpilots’ liability. Jason Hatton explains how three weeks of sunshine and coaching improved his cross-country skills in his K-6E. Newly-solo pilot Malcolm Taylor wonders why he left it until he was 65 before catching the gliding bug. Juniors reveal their most favourite gliding moments. Liz Sparrow explains how clubs are being challenged toencourage more women to take up gliding. David Clarke prepares to experience the crazy world of Euro-gliding. There’s coverage of the 2014 BGA Conference and AGM, including 2013 BGA Trophy winners. Pete Stratten explains how to choose between an SPL and LAPL(S). Development Officer Alison Randle asks if clubs are making the most of local sports hubs. Peter Underwood looks at the first steps to restoring a vintage glider. Last, but not least, there are many more of your stunning images in the Gallery pages. A bit of a liability? Restored to a former glory?